It’s of no doubt that WhatsApp is right now the most popular instant messaging app available for Android, iOS, and Windows OS. In fact, the use of instant messaging apps like WhatsApp, telegram, etc. has recorded steady growth over the past few years. Let’s just talk about Android devices, if you are holding an Android smartphone, then there are higher probabilities that your phone might already have WhatsApp installed. Millions of users right now use the WhatsApp app for Android and it provides users lots of useful features. Apart from just being an instant messaging app, WhatsApp is also capable to make video and voice calls. Some other features of WhatsApp for Android includes GIF support, File sharing, Group messages, Video status, etc. However, there’s one problem which is common in Android users. Most of us now use more than one SIM card on our smartphone – one for personal use and the other one for professional & business work. However, as we all know, Android doesn’t allow users to install and run multiple instances of a single app. That means, you can’t run dual WhatsApp, dual telegram, or any other instant messaging app simultaneously. Although app cloning is absolutely possible and most of the Android devices arriving these days got the ability to clone apps. However, what if your phone doesn’t allow you to clone apps? 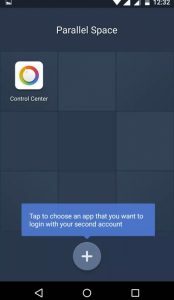 So, here we have made up our mind to share two best methods to run multiple instances of the same apps on Android. We are going to share two tutorials that will help you to run multiple WhatsApp accounts on Android without rooting. So, if you want to run multiple WhatsApp accounts on a single smartphone, then make sure to go through the tutorials which we have shared below. For those who don’t know, Parallel Space is one of the best and top-rated Android app cloner available on the Google Play Store. The great thing about Parallel Space is that it can clone almost all popular apps and games. So, by cloning the apps, you will be able to run multiple accounts of the same app simultaneously. 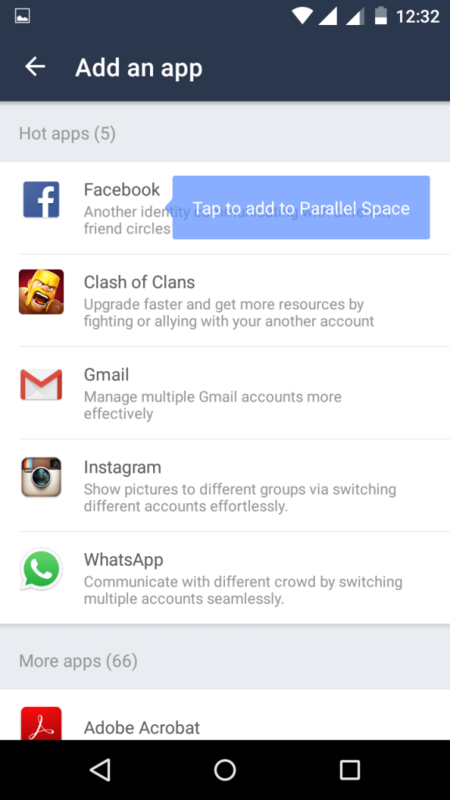 According to the Google Play Store listing, Parallel Space is now helping more than 90 million users to log in with multiple accounts at the same time on one Android device. The best thing about Parallel Space is that it runs on both rooted and non-rooted Android smartphone. Below, we have shared a working guide on how to download & install Parallel Space on any Android smartphone. #1 Head to the Google Play Store and search for Parallel Space. Download & install the first app from the suggestions. You can also click here to visit the Parallel Space’s Google Play Store page directly. #2 Next, open the Android App drawer and tap on ‘Parallel Space’. You need to tap on the (+) icon which located at the bottom of the screen. #3 Now Parallel Space will list out all apps that are installed on your device and can be cloned. Simply, tap on the ‘WhatsApp’ from the list. #4 Once done, wait for few seconds until Parallel Space creates a clone version of WhatsApp. Once created you will see a new WhatsApp icon on the Parallel Space. 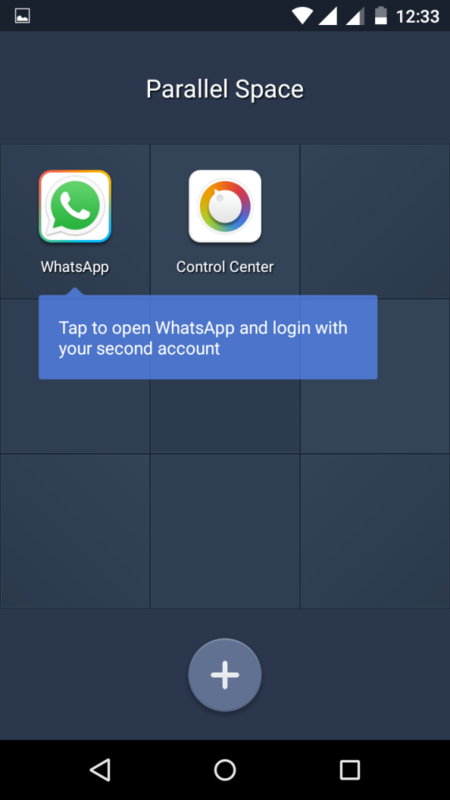 This is how you can use Parallel Space to run two WhatsApp accounts on an Android device. You can USE the clone version WhatsApp to log in with the second phone number. If you have any doubts regarding Parallel Space, discuss with us in the comments. For those, who don’t know, GBWhatsApp is one of the best WhatsApp mod available on the internet. The great thing about GBWhatsApp is that it offers users far more features than the official WhatsApp App. GBWhatsApp Apk is widely used by Android users to apply themes to WhatsApp, hide the blue ticks, lock private messages, etc. Not just that, but GBWhatsApp also allows users to remove the time limit from video status, removes the image compression, etc. Since GBWhatsApp is a standalone app, it can be used to log in with another number. By this way, users can use two WhatsApp accounts in a Single Android smartphone. The first one will be the official WhatsApp app, and the second one will be the GBWhatsApp. GBWhatsApp works on both rooted and non-rooted Android device and using it is quite easy. In case, if you don’t know how to use GBWhatsApp on Android smartphone, then follow the steps given below. #1 Since GBWhatsApp is not available on the Google Play Store, we need to rely upon third-party sources to download the app. You can visit our GBWhatsApp Apk article to get the Apk file. #5 In the next page, verify your phone number. Here you can use your secondary phone number to log in. This is how you can use GBWhatsApp for Android to run dual WhatsApp accounts in a single Android smartphone. If you have any further doubt, discuss with us in the comments. Both of the methods shared above works well, and it entirely depends upon you. If you want to clone the official WhatsApp app, then go with the Parallel Space. However, if you want to enjoy another WhatsApp account with extended features, then go with GBWhatsApp. 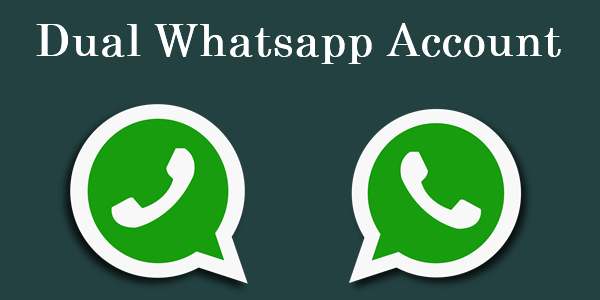 In our opinion, GBWhatsApp apk is the best choice to run dual WhatsApp account in Single Android smartphone. So, the choice entirely depends upon you. You can also use both of the Android app – Parallel Space and GBWhatsApp. GBWhatsApp will replace the official WhatsApp app and Parallel Space for cloning GBWhatsApp. So, its all about How to run multiple WhatsApp accounts on a single Android smartphone. If you have any further doubt, let us know below.